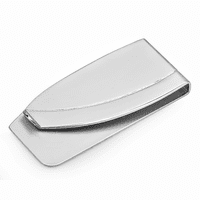 There will be more smiles than tears when you give this money clip as a gift for groomsmen, graduates, family and friends! The polished silver tone clip has a satin-finish tear drop inset that can be engraved with a name or initials at no extra charge! 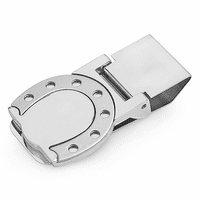 The powerful hinged mechanism holds up to 25 folded bills with ease, and fits compactly in a jacket or pants pocket! 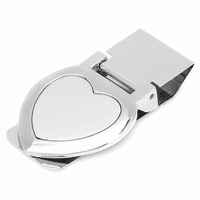 We will package your money clip in a gift box, and ship it out within one business day. I love the way it looks engraved. What is the shipping and total cost? 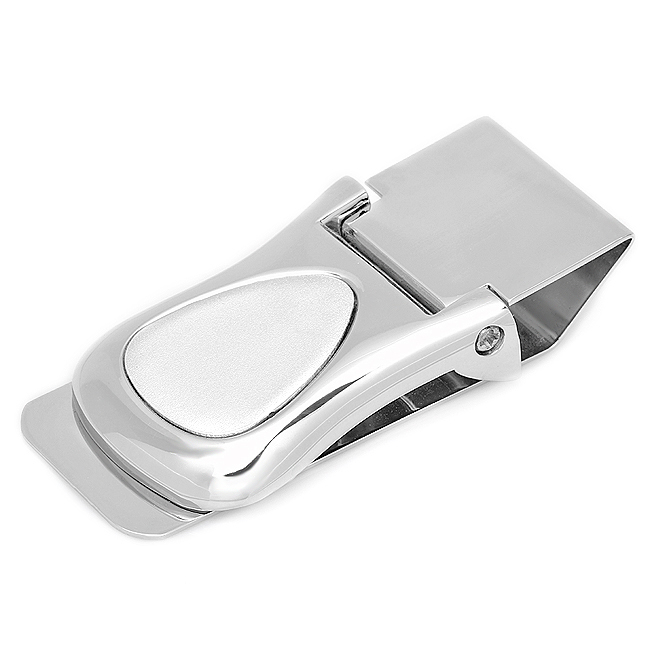 The shipping for this money clip is $2.50, and that is with first class mail. Orders under $25 have a flat rate of $25, orders over $25 ship for free. This is what I always wanted, very manly well built, Love flashing it, thank you very much. Fast delivery and turned out incredible! This money clip does the job perfectly. The engraving came out great and the price was great too. 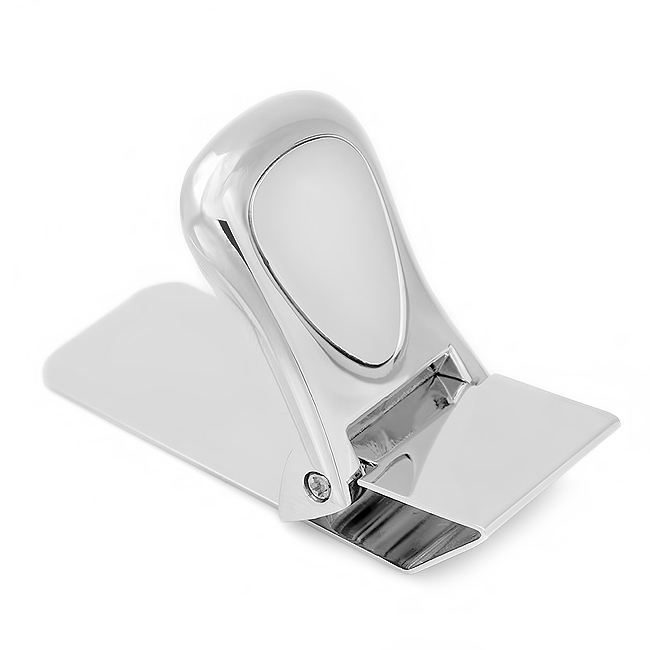 very nice product,exactly what i was looking for,but the shiping cost was almost the price of the product itself.nevermind i was looking for a moneyclip for a long time so!!! i purchased the same one many yrs ago. the screw finally gave out. i was totally lost without it. the old one lasted over 10 yrs. it took a beating from sitting on it........dropping it. The money clip was perfect! Such a great price for exactly what I was looking for.